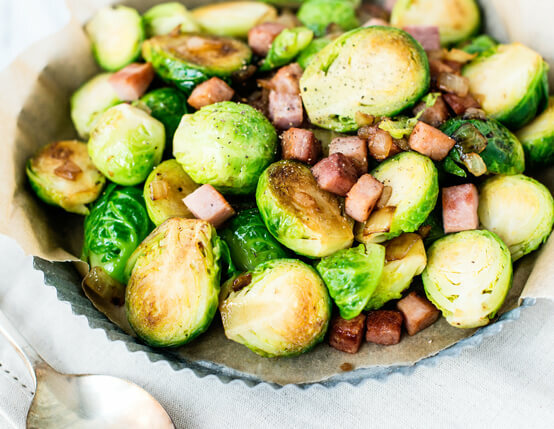 When you add ham to Brussels sprouts, you get a contrast in flavor and texture that makes them irresistible. Blanch the sprouts in boiling water until they are firm in the middle but soft around the outside. Place into a bowl of ice water to cool. Sweat the onion and garlic in the ham fat over medium low heat until onions are golden in color. Add the ham and sweat an additional 5 minutes. Add sprouts, toss to distribute throughout the pan. Add ham drippings. Turn the heat down to low and allow the sprouts to steam until the liquid evaporates enough to emulsify with the fat in the pan. Adjust seasoning. 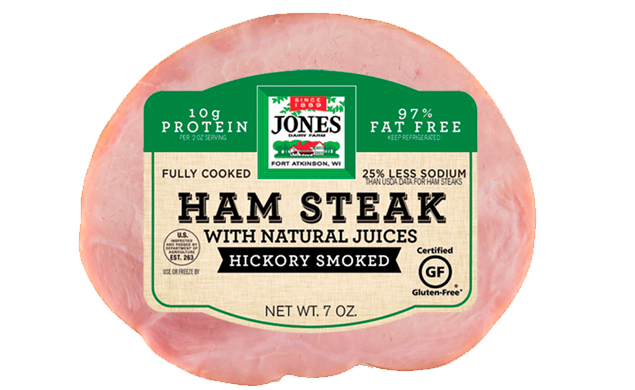 Note: the ham drippings are packed full of flavor, so season sparingly.